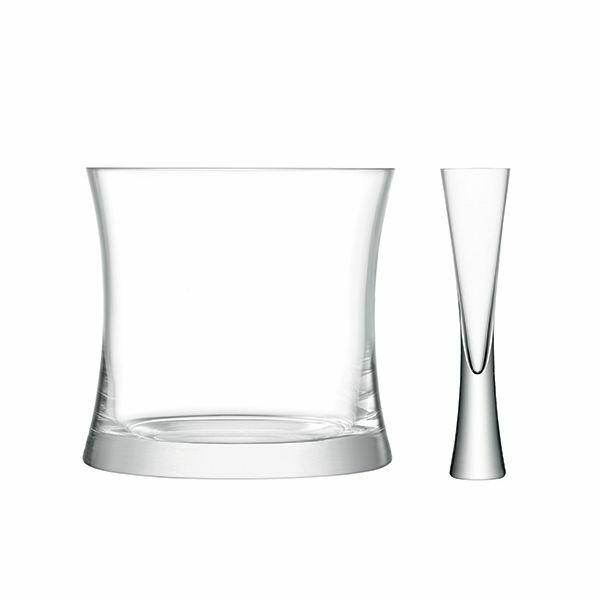 This grand Moya thirteen piece serving set includes twelve elegantly curved Champagne flutes with weighted and thick stems. 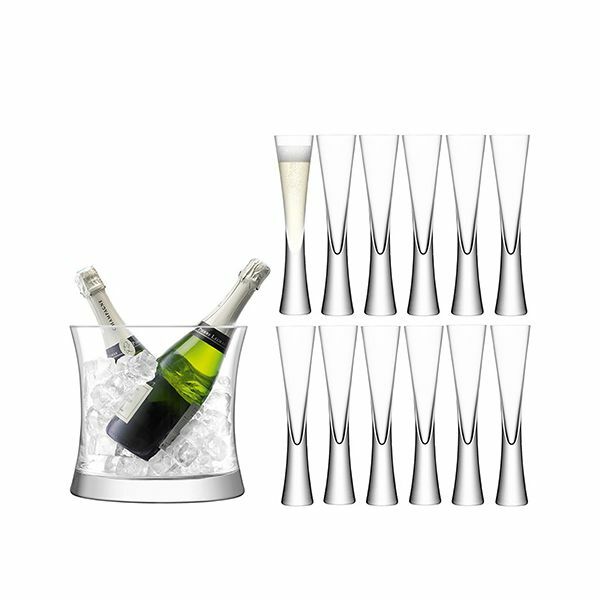 The accompanying Champagne bucket is mouth blown to complete the set and can hold two Champagne bottles or several smaller bottles. 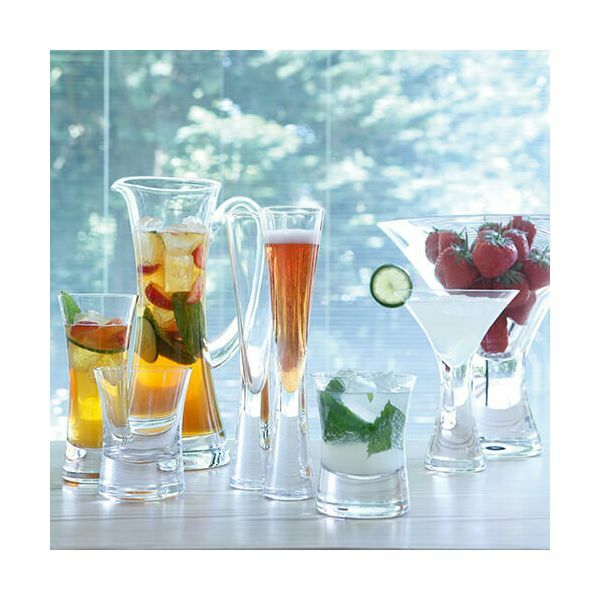 This Moya serving set is ideal for celebrations and special occasions.